Harris JE. Cigarette smoking among successive birth cohorts of men and women in the United States during 1900–80. J Natl Cancer Inst. 1983;71:473-479. Jemal A, Ma J, Rosenberg PS, Siegel R, Anderson WF. Increasing lung cancer death rates among young women in southern and midwestern states. J Clin Oncol. 2012;30:2739-2744. National Center for Health Statistics, Centers for Disease Control and Prevention. National Health Interview Surveys 2000 and 2015. Public Use Data Files 2001. Atlanta, GA: National Center for Health Statistics, Centers for Disease Control and Prevention; 2016. Cronin KA, Lake AJ, Scott S, et al. 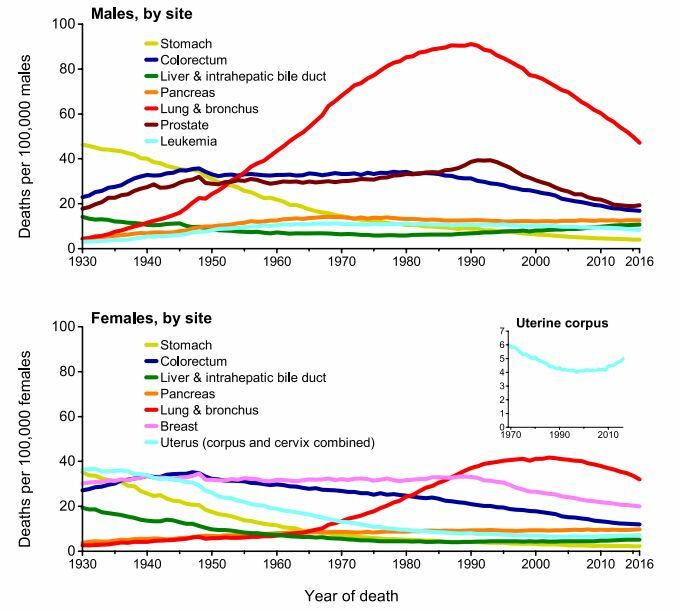 Annual Report to the Nation on the Status of Cancer, part I: national cancer statistics. Cancer. 2018;124:2785-2800. Islami F, Sauer AG, Miller KD, et al. 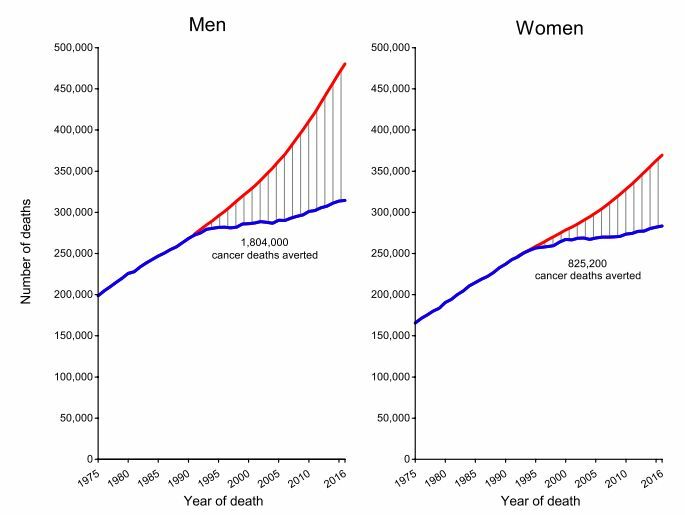 Proportion and number of cancer cases and deaths attributable to potentially modifiable factors in the United States in 2014. CA Cancer J Clin. 2018;68:31-54. Pawlotsky JM. New hepatitis C virus (HCV) drugs and the hope for a cure: concepts in anti-HCV drug development. Semin Liver Dis. 2014;34:22-29. Jemal A, Fedewa SA. Recent hepatitis C virus testing patterns among baby boomers. Am J Prev Med. 2017;53:e31-e33. Noone AM, Howlader N, Krapcho M, et al. 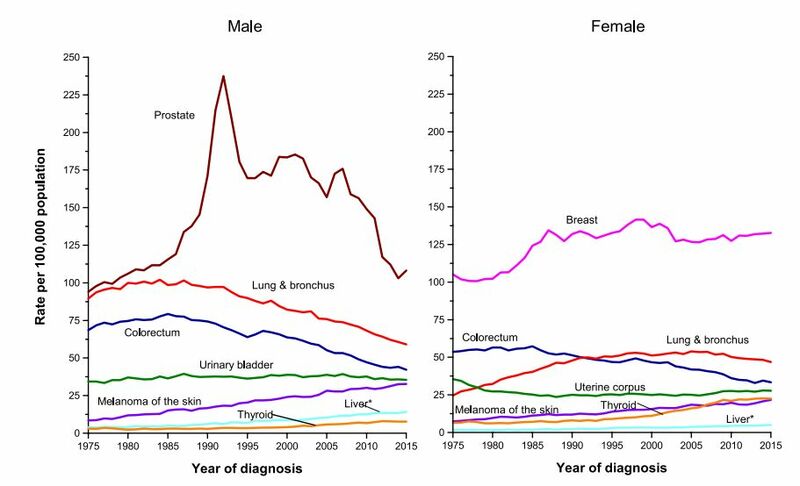 SEER Cancer Statistics Review, 1975- 2015. Bethesda, MD: National Cancer Institute; 2018. Sasaki K, Strom SS, O’Brien S, et al. Relative survival in patients with chronic-phase chronic myeloid leukaemia in the tyrosine-kinase inhibitor era: analysis of patient data from six prospective clinical trials. Lancet Haematol. 2015;2:e186-e193. National Lung Screening Trial Research Team, Aberle DR, Adams AM, et al. Reduced lung-cancer mortality with low-dose computed tomographic screening. N Engl J Med. 2011;365:395-409. Huo J, Shen C, Volk RJ, Shih Y. Use of CT and chest radiography for lung cancer screening before and after publication of screening guidelines: intended and unintended uptake. JAMA Intern Med. 2017;177:439-441. Jeon J, Holford TR, Levy DT, et al. Smoking and lung cancer mortality in the United States from 2015 to 2065: a comparative modeling approach [published online ahead of print October 9, 2018]. Ann Intern Med. https://doi.org/10.7326/M18-1250. Centers for Disease Control and Prevention (CDC). Cervical cancer screening among women aged 18-30 years–United States, 2000-2010. MMWR Morb Mortal Wkly Rep. 2013;61:1038-1042. Watson M, Benard V, King J, Crawford A, Saraiya M. National assessment of HPV and Pap tests: changes in cervical cancer screening, National Health Interview Survey. Prev Med. 2017;100:243-247. Siegel RL, Jemal A, Wender RC, Gansler T, Ma J, Brawley OW. An assessment of progress in cancer control. CA Cancer J Clin. 2018;68:329-339. Egen O, Beatty K, Blackley DJ, Brown K, Wykoff R. Health and social conditions of the poorest versus wealthiest counties in the United States. Am J Public Health. 2017;107:130-135. Bennett KJ, Pumkam C, Bellinger JD, Probst JC. Cancer screening delivery in persistent poverty rural counties. J Prim Care Community Health. 2011;2:240-249. Henry KA, Sherman R, Farber S, Cockburn M, Goldberg DW, Stroup AM. 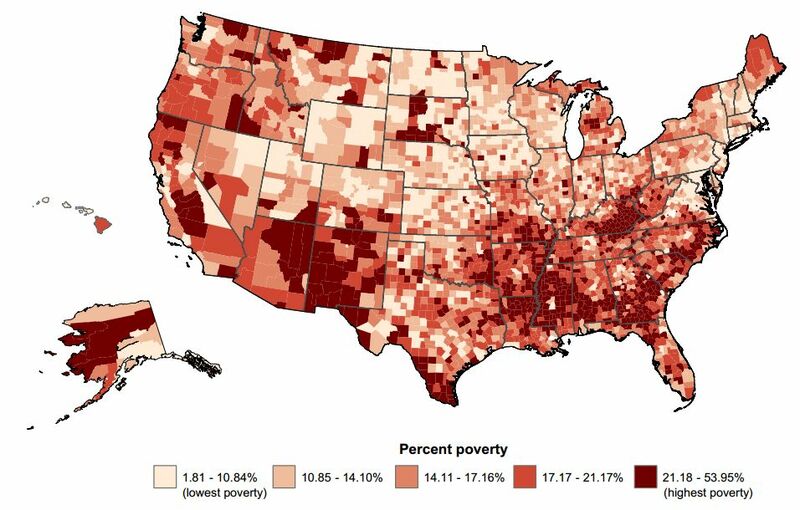 The joint effects of census tract poverty and geographic access on late-stage breast cancer diagnosis in 10 US states. Health Place. 2013;21:110-121.